The Gita captures the eternal struggle between the ego and our higher consciousness. When Prince Arjuna raises his bow to fight the Kauravas, he lets it slip and falter, asking mentor and charioteer Lord Krishna whether he should fight his kin. Krishna then reveals how everyone must fulfil his dharma and both happiness and distress have to be viewed with detachment. We are all warriors like Arjuna when we surrender and take the right action and see challenges as a chance to grow. 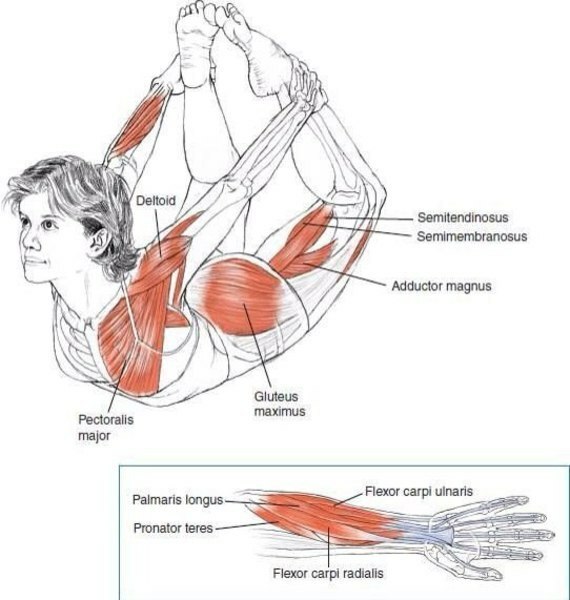 The term“Dhanurasana” comes from the Sanskrit wordsDhanura meaning “bow” andAsana meaning“posture.” This yogic asana is named after the shape it takes- that of a bow.” The above sentiments can be expressed in this physical posture as we melt and soften, stretch, accept and mould our body into a strong bow. Linked with the Urdhva Chakrasana, the Dhanurasana combines theCobra and Locust pose and countersForward Bends and the Plough. Like an archer stringing a bow, or indeed much like Arjuna counselled by Lord Krishna in the Mahabharata, this position gives stability and confidence. The basic movement involves pulling the arms back and gripping the feet, then raising the head, chest and thighs up together to form a curve or a bow shape. This asana improves vitality, spinal elasticity, and posture. It tones the muscles of the back, working each part of the spine – cervical, lumbar, thoracic and sacral. As the chest lifts fully and lungs expand, we increase lung strength and capacity. Eighth in the sequence of 12 basic poses of Hatha Yoga, this is the final of the three back boosting exercises. The bow pose instils confidence. Also, just like a real bow which would break if there is too much tension, and without sufficient tension, there would not be enough force to launch the arrow, so also, this pose needs exactly the right balance of effort and relaxation. 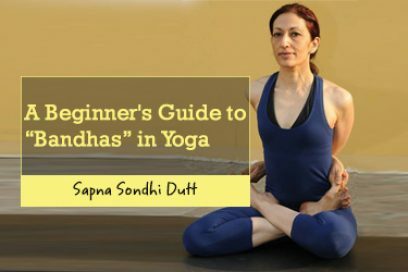 Dhanurasana should be practised after Bhujangasana (Cobra) and Shalabhasana (Locust) and followed by a forward bending asana as a counter stretch. 2.1 Directions for Advanced Bow Pose. 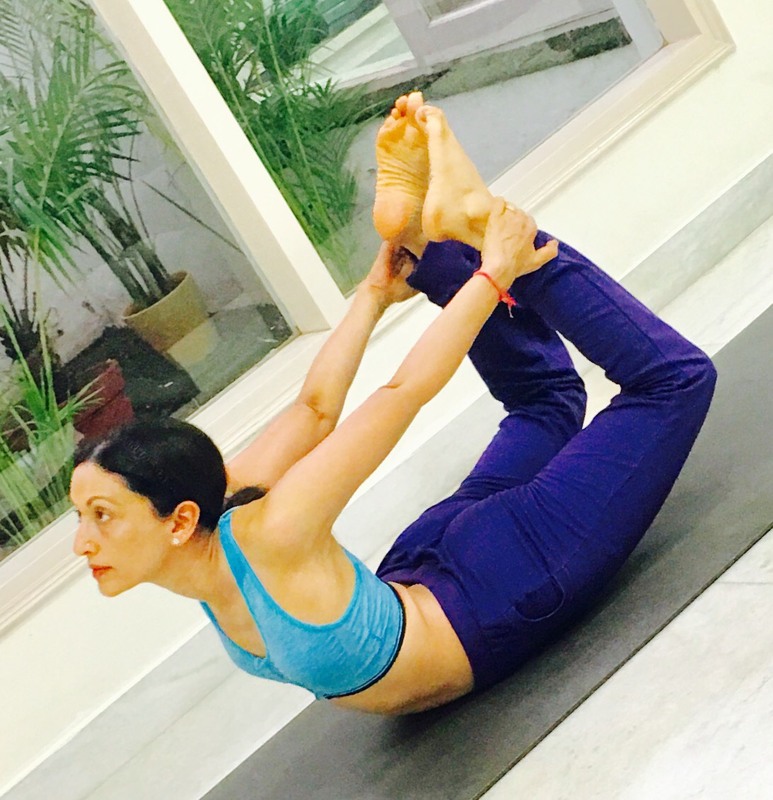 4 Bow Pose Precautions: Who Should Not Do Dhanurasana? To perform this asana, you need to lie down on your abdomen, forehead on the floor, legs together and arms by your sides. Bend/fold the knees, bringing the feet as close to the posterior as possible. Grasp either your feet or ankles with the hands. Knees and thighs should be as close together as possible. If one is not able to keep them together, then separate as much as needed. Press the heels into the hand so that the latter press against the action. Altogether, lift the head chest and thighs off the floor. Ensure that the tailbone is kept pressed towards the back of the knees and press the shoulder blades firmly down the back. Keep your elbows straight, with the arms fully stretched and the weight of the body on the abdomen. Do not rock back on the hips. Breathing in and out smoothly, ensure your chest is well off the ground and your legs are pulled up. Even if the thighs come apart, try and keep the big toes of both feet together or close. Keep the head lifted, looking upwards . Maintain the posture for 5 long breaths ensuring that the right amount of effort is being used. Your body should be as taut as a bow. After the five breaths, release and gently bring the legs and chest to the ground. Let go of the ankles and relax. Please remember, it often takes practitioners years to just do the Bow correctly. As newcomers to yoga, often the thighs don’t lift off the floor. If this is happening to you, don’t get disheartened. Stay regular with your full yoga practice – as the body develops in strength and flexibility, the thighs will begin to lift off the floor. Once you have mastered the Bow pose, you can begin to try a more advanced variation. Directions for Advanced Bow Pose. Lie on your abdomen, facing downwards and relax, taking 2-3 slow long breaths. Bend your legs back, reach and hold your toes with the hands and then rotate the shoulders towards the face. Hands should be behind and higher than the head. Try to arch your back as far as you can. Hold this position for up to 5 counts and then relax and release back to the starting position. Repeat this a few times and try and increase the duration for which the pose is held as you advance. Urdhva Dhanurasana translates as the Upward Bow. This posture is also called Chakrasana or The Wheel. You should have sufficient shoulder as well as back flexibility before attempting falling back into the Wheel from a standing position. An easier way to come into this posture would be to start from a lying down position. This is the sideways Bow Pose. Attain the Bow Pose and then exhale and roll over to any one side. 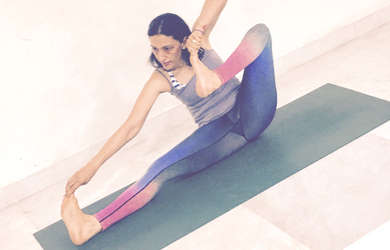 Stretch the legs and the chest and hold for a few steady breaths before returning back to original bow pose and then perform the asana to the other side. Maintain the pose for an equal length of time on both sides to massage the abdominal organs from the sides, by pressing them against the floor. This version involves rocking back and forth in the Dhanurasana or Bow Pose. The Bow Rocking Action is done synchronised with the breath – inhaling as we lift the chest and rock back, bringing the thighs onto the floor and exhaling as we rock forward and drop the chest and forehead onto the floor, lifting the thighs off the floor. Our liver, pancreas, and spleen get massaged and benefit from this rocking motion. This posture is an incomplete Bow Pose or Partial Bow. Place your body in a face prone position, and then raise your head and chest and simultaneously reach back with any one hand and bending the same side leg back, catch the ankle or foot. The opposite side should be relaxed. The free arm may be at the side or front of the body. Hold the semi bow position for 5 counts and then release and perform the steps for the other side. Muscles, nerves and organs on each side of the body derive great benefit from this pose. This is the Shooting Bow Pose whereby the person takes on the shape of a bow and arrow. For this pose, sit on your buttocks. Then hold the right big toe with the right hand and the left big toe with the left hand. Arch your back and bring the right toe towards your head to touch the right ear while keeping the left leg stretched. Hold a few seconds. Release this and then bring the left toe towards your head and left ear, while the right leg now remains lengthened out on the floor. Finally, do any forward bend like Child’s pose/ Balasana as a counter stretch and then relax in a comfortable supine position of Shavasana. Enhances the flexibility of the complete length of the spine – cervical, thoracic, lumbar and sacral. Pushes intervertebral discs in place and prevents slipped discs. Ideal for people suffering from health conditions like diabetes and hyper or hypothyroidism. Expands the chest and thorax and strengthens the lungs. Prevents hunching of the back and corrects rounded backs. Fights dyspepsia, rheumatism, and gastrointestinal or digestive ailments. Bow Pose Precautions: Who Should Not Do Dhanurasana? Pregnant women should not do this pose. 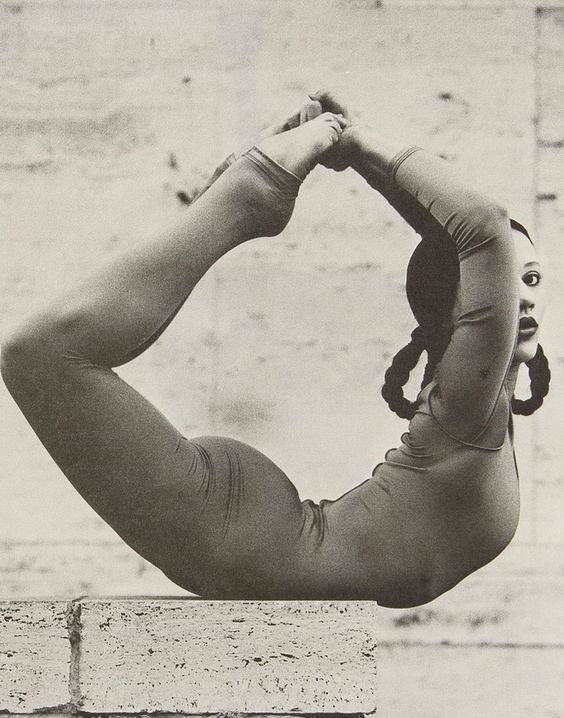 Also, the Bow Pose strongly activates the body so it should not be done after a meal or at night. Inspiring the confidence that can win a righteous war through surrender to the Divine, the Dhanurasana has many benefits. 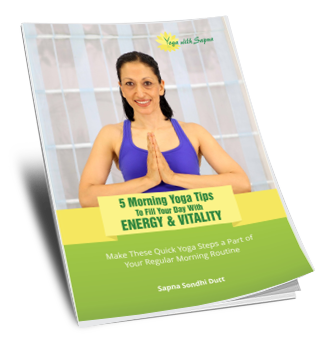 It is undoubtedly a gem in the treasure house of Yoga. Followed by millions from times immemorial, this posture, part of Raja and Hatha Yoga, is intended for liberating oneself from the stiffness of the body and the rigidity of the mind. Practice the Bow pose and step onto the path of the union of one’s inner resilience with the Divine source of energy.